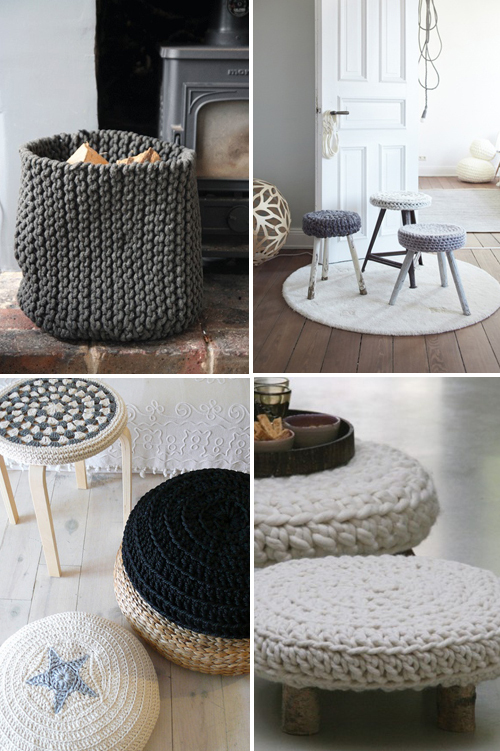 I love knitted interior products, especially in winter time they give a warm and cosy atmosphere to a home. 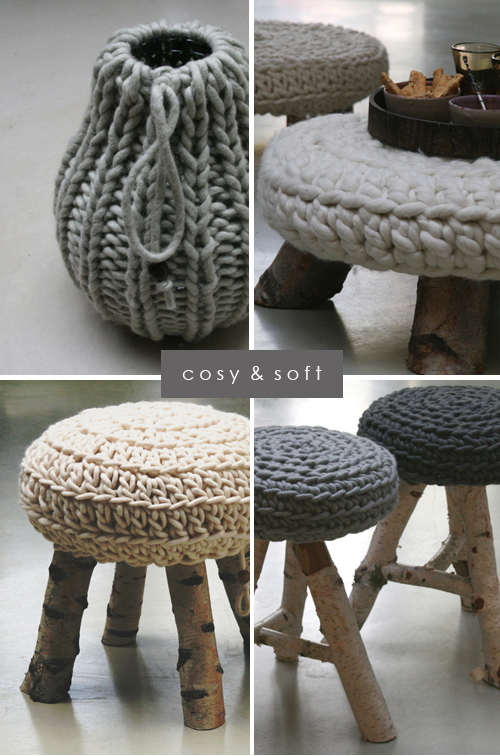 Below some products to create a cosy and warm (winter) look in your home: a beautiful glass vase with a woolen ‘cardigan, a knitted pouf with legs made from birch tree, a stool from wool and birch tree stems. Oh mein Gott, ist das hübsch. Mir gefallen solche Stricksachen total gut. 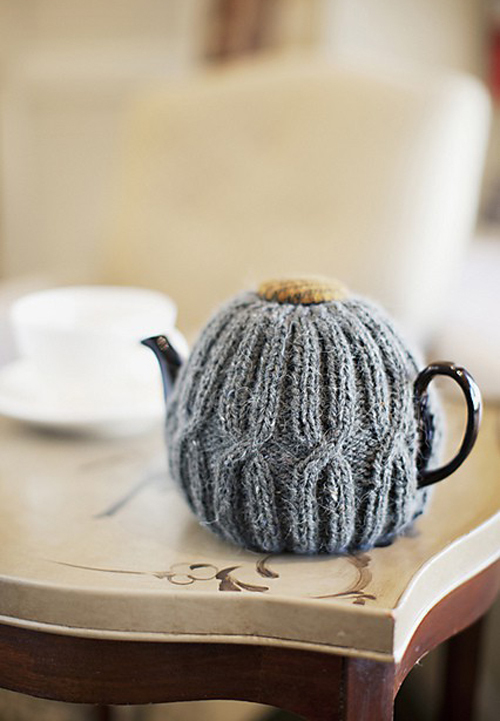 How charming this tea cosy is! I need to take out my knitting needles again. This is a great DIY! I love the look of these for winter, so cozy and warming! sweet and cozy! Perfect for the season!